Join us at Redefine Gallery for the grand opening of Odd Is Art! The world of Ripley’s extends far beyond shrunken heads and the sideshow! Unframed and unbelievable, Ripley’s Believe It or Not! 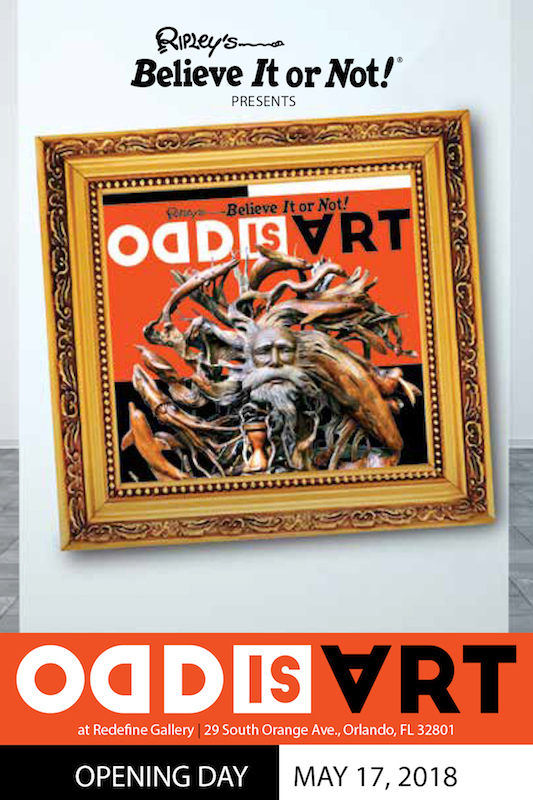 Odd Is Art is filled with the most unconventional pieces curated from the Ripley collection and beyond! From laundry lint iconography and sculptures made of salt, to an intricately carved human skull, some of the world’s most fascinating pieces of art are celebrated within Odd Is Art. Gallery will remain open through June 17th!